Essential Question: Why are ladybugs considered to be good luck? 1. Multiple formats and media are used to present information. 2. Teachers use multiple strategies to engage and motivate students. 3. Students demonstrate learning through multiple performance and product formats. 1. Recognition goals: these focus on specific content that ask a student to identify who, what, where, and when. 2. Strategic goals: these focus on a specific process or medium that asks a student to learn how to do something using problem solving and critical think skills. 3. Affective goals: these focus on a particular value or emotional outcome. Do students enjoy, and appreciate learning about the topic? Does it connect to prior knowledge and experience? Are students allowed to select and discover new knowledge? Following the UDL principles design a lesson for the ladybug theme. Give students choices for how to demonstrate their knowledge through drawing (paper or computer software), video that could be video stream or podcast, pictures and photos, audio recording of narrative and music, models, and maps. Be creative and allow your students to experience Lucky Ladybugs as a metamorphosis of learning in new ways. Some students may decide to research ladybug predators such as the praying mantis, and that's fine. 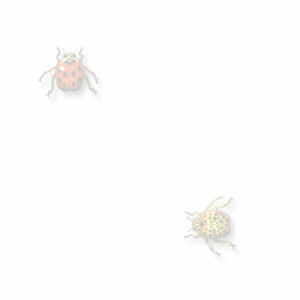 They might also want to research harmful insects that ladybugs help keep under control. Scholastic Keys, Kid Pix, Inspiration and Kidspiration, digital camera (still and video), recording narration/music, United Streaming. Let your imagination go! This project begins on March 15, 2007. Materials need to be e-mailed by May 31, 2008. Work will be posted when materials are received and will remain online to be used as a resource. Submit a short narrative of your learning experience and how it meets the criteria of Universal Design for Learning. We will accept a maximum of 7 graphics per class. Please try to keep your Power Point presentations no larger than 500 KB. We would appreciate it if videos are limited to 1 MB. If you publish your own webpage at another site, you still must meet the project requirements (send narrative and images). A link to your page will be included only if you identify and link back to this project. Note: Ms. Bug, our friendly text to speech reader, only worked on PCs with Internet Explorer so we decided to remove her from our project.